Way back in August I saw this lovely idea on ‘Nothing But Knit’s’ blog. I thought it was a lovely idea and asked if she would mind if I adopted it. Since mine is only a little blog, and gets nothing like as many comments as hers, it has taken a while to roll round to the magic number I decided would trigger a little prize to the person who made the comment. Today was the day! (Well, late last night actually). That person is Ruth from Core Couture! If you haven’t been to her blog already I can highly recommend it. Ruth, if you e-mail me at themateriallady*at*gmail dot com with your address I will get a little goody parcel to you – though it may take a little longer to get there in the Christmas post! This seems like terribly slow progress – but you can’t do vast amounts in a 30 minute slot (I sometimes end up doing a bit longer – it was about an hour today). Even so, progress is being made and today I was able to sew the lining together. The lining is a pretty, floral, polyester which I had in my stash. Just a bit nicer than a plain satin lining in my opinion. 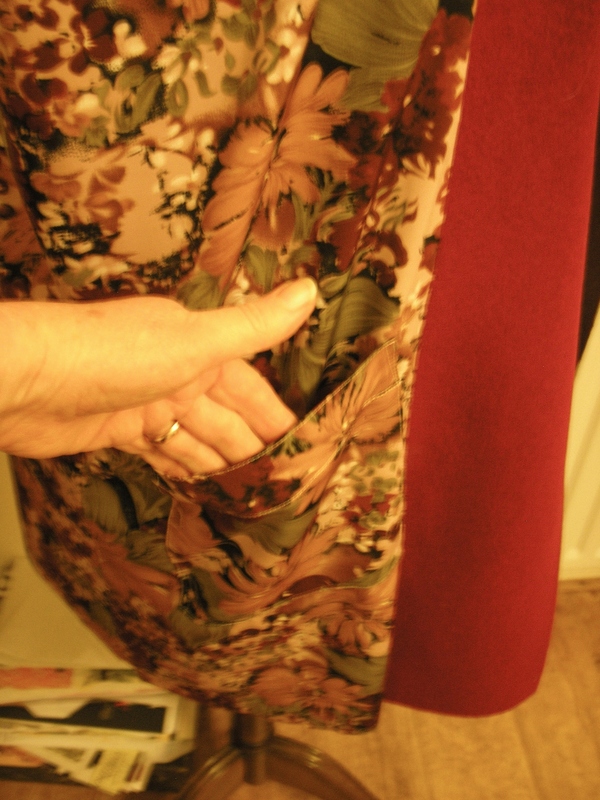 I have made a back tuck towards the neckline, like you get in ready made garments, by just swinging the centre back of the pattern away from the fabric fold by 3cm at the neck edge. This was sewn away into a tuck, for a little more than the depth of the back facing, which leaves the extra width as ease across your back – making it less likely to be damaged by ‘pulling’ across the back. I have also added a patch pocket to the left front piece so that I have an extra pocket to hide things in. I don’t have too much to do for clients tomorrow, and at the moment no major jobs around the house to be done, so I am hoping to get the sleeves put in and be able to sew the lining into the body tomorrow. That would just leave the topstitching and buttonholes to be done. It would be good to feel I was on the home straight with this. I have asked my husband to choose a number to select the person who will be sent the duplicate Threads magazine – and he chose Alison Withell. Congrats Alison. If you can e-mail me your address I will get this into the post by the end of the week. Ooops, Threads did it again…. Sing that to yourself in a Britney style if you want to. It seems that although I thought that my subscription confusion had been sorted out after a ‘live chat’ on the Threads website it all happened too late to stop the next issue from being sent out. Twice. This confused the bejesus out of me and after another ‘live chat’ I have been told to offer the duplicate magazine to you. Again. 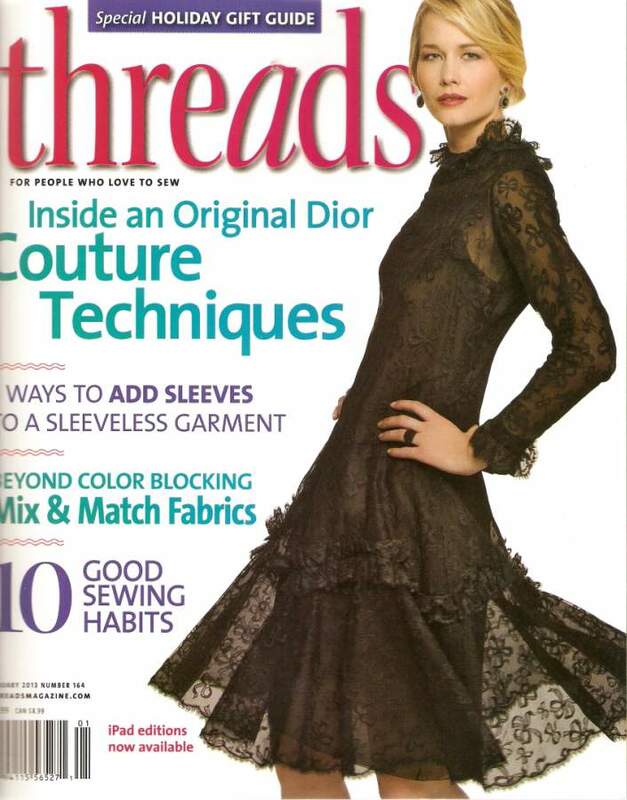 If you would like to have the opportunity to look at a Threads magazine, to decide if you want to buy more, please leave me a comment and I will draw from the replies if there is more than one of you. I had my Patrones 285 coat all cut out and ready to get on over last weekend and had really hoped to make good progress. Do you ever get the feeling that you have a ‘blighted’ project? As you may remember I really wanted to make the cape from this fabric but there wasn’t quite enough. I interlined all the necessary pieces in my 30 minute slots on Monday and Wednesday (I missed Tuesday because of an unscheduled trip to Birmingham to buy fabric for a client) using fine sheer fuzing. This was better with this cloth than the Supersoft Superior interlining that I thought would work but meant that I had to let each piece cool and set on the board before moving as it does have a tendency to ‘un-stick’ if you aren’t careful! I eventually started sewing after work today. I thought it would be a great idea just to work the pockets and then see how far I got after that. Not far was the answer. I very carefully sewed a beautiful bound pocket – on the wrong side. See what I mean about a blighted project. After unpicking the pocket strips I decided it would be in my best interest to leave it all until tomorrow and start again. It shows that no matter how much experience you have you can foul up big time. I’m hoping for a more productive day tomorrow. Wish me luck. …. and it will be moving next to ..(mental drum roll please)…. 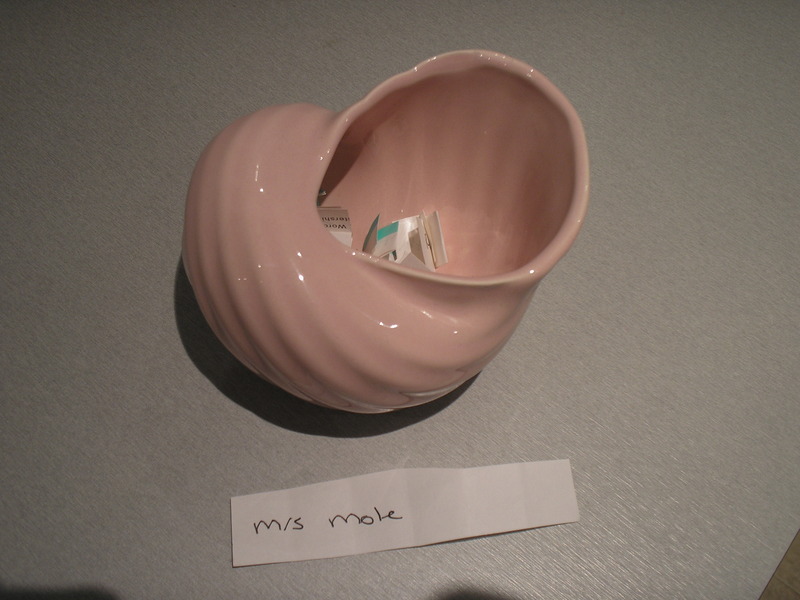 Mrs Mole! If you can send me your details I will dispatch the patterns with all due haste. For those of you who really wanted a pattern from this batch (or just to be part of the fun) get on over to Mrs Moles blog and follow the patterns on their travels. I am the lucky recipient of the patterns from the Pyramid started by Ann at Pretty Grievances. They arrived here in the UK via Australia from Velosewer. I can’t believe how lucky I am! I can take my choice from the patterns in the heap and replace them with my own pattern choices before selecting someone else to pass the bundle on to. By putting replacements in the bundle this makes the ‘pyramid’ into a ‘perpetual pyramid’ which should make it’s way about the globe forever – as long as whoever receives the bundle passes it on. 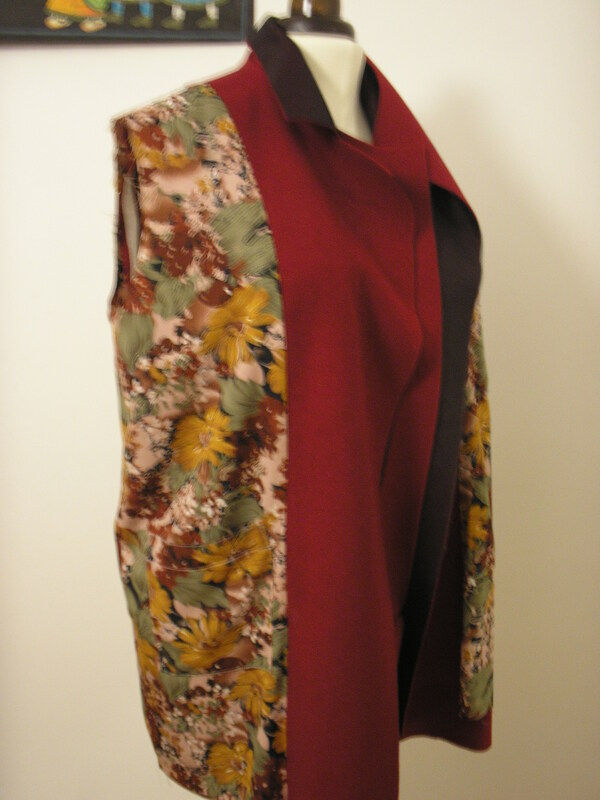 I will eventually blog the garment I make from the heap but for now…. You could be the happy recipient of these patterns as the next stop in the chain. BUT there are some conditions. Anyone, anywhere can enter the giveaway by posting a comment below by midnight on Ssunday 11th November AND you must have an active blog. I will randomly select a winner. I will post this pack to the winner. As Velosewer said ‘Karen from Did you make that? started this initiative and I know this in one that maybe one or two of you might be participate in. 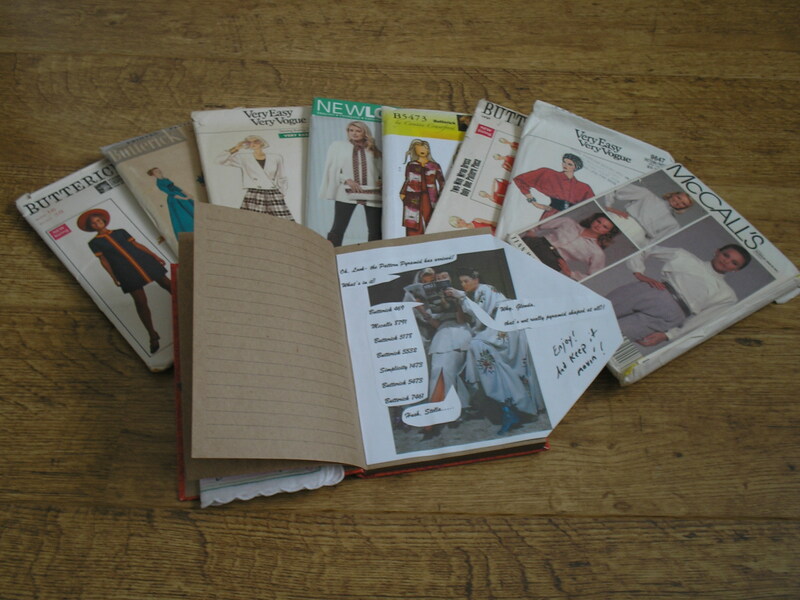 This pattern pile started by Ann was in honour of Karen’s initiative. Karen and Ann want to help global sewing and spreading the sewing love by sharing lots of patterns and we all can make something from this common pattern pool’. I think that the sentiment is great – and we all get a chance to be involved in a worldwide pattern swop. I think I know which pattern(s) I would like to keep – and have a fair idea of what I will replace them with (it may even be a pattern magazine – lots of choices there!). There is also a book that Anne included so that we can make a comment about our choices and chart the patterns progress around the globe. Some of them have already covered quite a few miles so far. Where are you? Will you be next? More travel, and a decision made. I know. I should have reported back and told you what I have been doing (or not doing more importantly).I got back from a week (yes- another week) in Northumberland visiting family. I’m sure everyone will agree that you never take the opportunity to enjoy your own patch while you live there so we spent time visiting places as well as relatives. 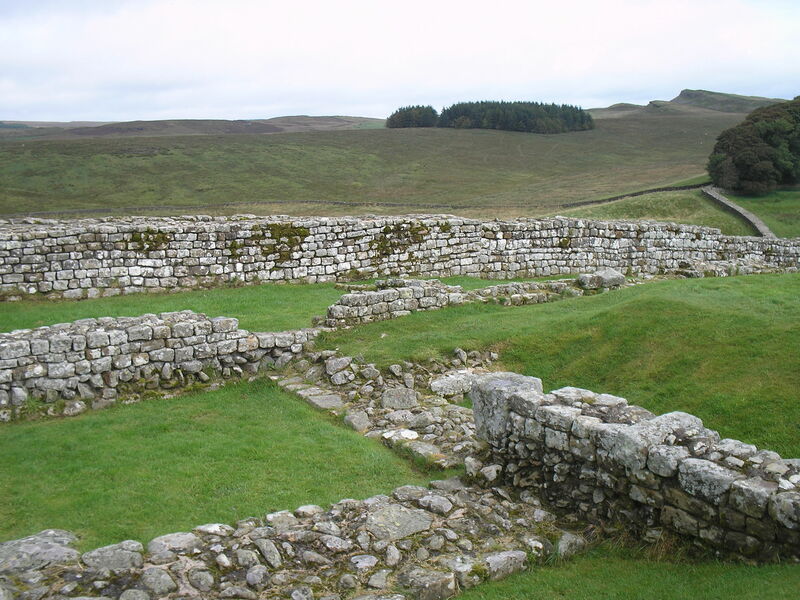 I can’t believe I never visited Housesteads on Hadrians Wall before. 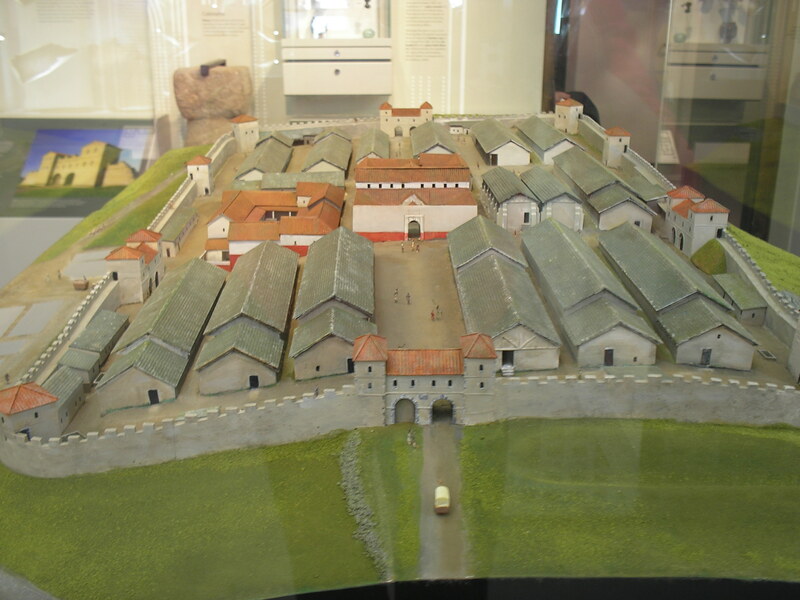 I have to say how sorry I feel for any poor centurion who was looking for a nice warm billet and ended up there – lovely though the view is! Nice view – but COLD! Just imagine coming from Rome. To Northumberland. Ouch. No amount of under floor heating would take the sting out of that! And you only got the heating if you were important enough. Poor cold foot soldiers. I worked out that I would have been born north of the wall had it stayed in place so would have been one of the ‘wild men’ (or women) of the North! Nuff said. 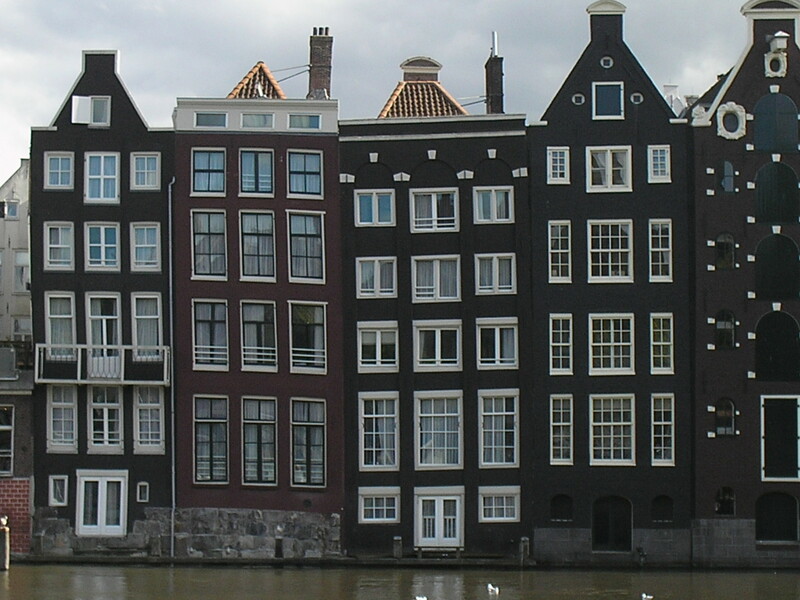 After we had spent a bit of cultural time visiting National Trust properties with both mothers we ran away by boat to Amsterdam. For the day. I know – we took longer getting there and back than we spent in the city – but it was well worth it and we will certainly be going back. I might even get to visit Kantje Boord for bra making supplies if I have enough time! (Since the management wasn’t even able to visit ‘The Night Watch’ I didn’t feel I could push the point). 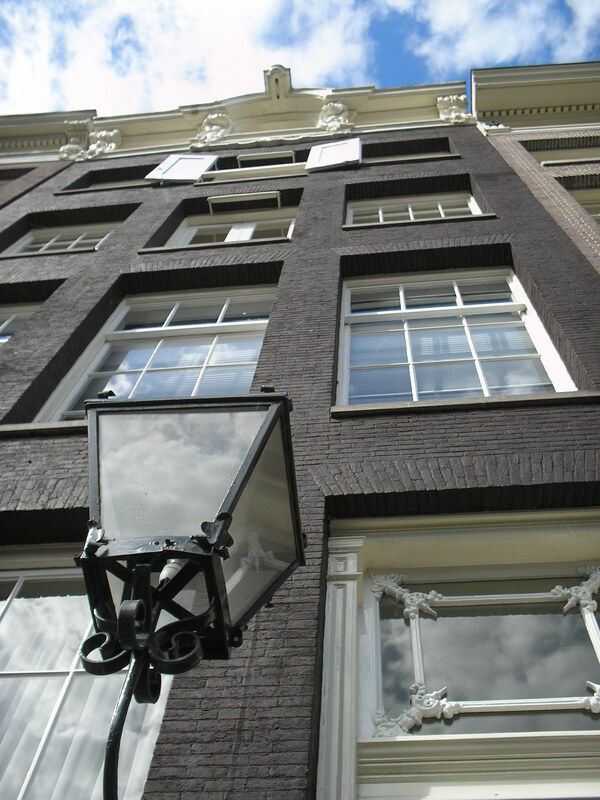 We did visit the Ann Frank house which was very moving. It’s ages since I read the book so I will have to get it and re-read. 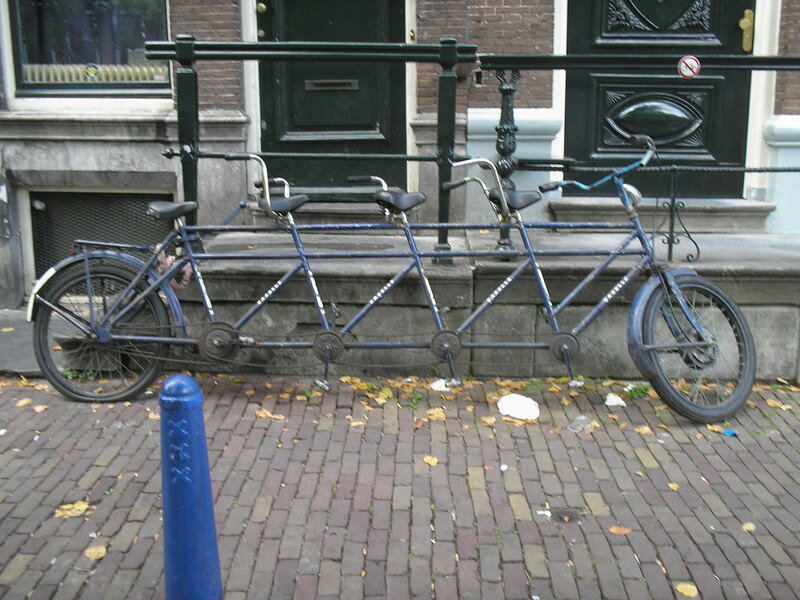 A bicycle built for …4!?! ‘Now, what about sewing?’ I hear you ask. I have been sewing. Honest, M’Lud. I have spent what feels like weeks making three adorable bridesmaid dresses for a client so I can’t show you the results. All I can say is that they were cuter than should be allowed. And took far longer than I had expected – even taking into account all of the flounces. They were all like the view on the left. Anyway, they have now left the premises and I am left with just the client work that has log jammed behind them. There is a wedding dress to be altered but nothing else has quite such an important deadline so I think I can get back to my ’30 minutes for me’ in the day which has been sadly neglected. 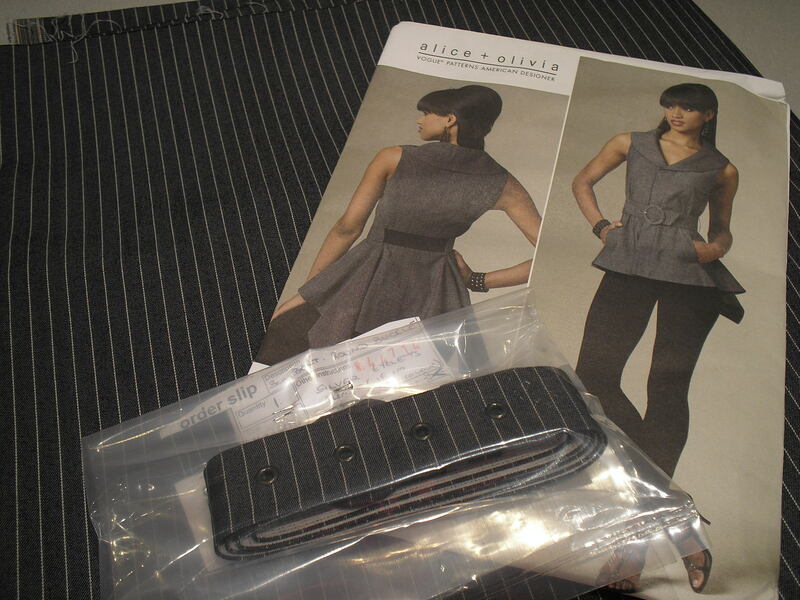 I have decided to make the Vogue pattern 1214 in this lovely pin striped cotton with elastane I had in stash. I have already had the belt made by Harlequin – so I feel as though I have already made a little start! I’m still not sure whether I want to add sleeves to the pattern or just wear a T under it if I am a bit cool. Any opinions? I hope to get this cut out over the weekend and start sewing it next week. P.S. 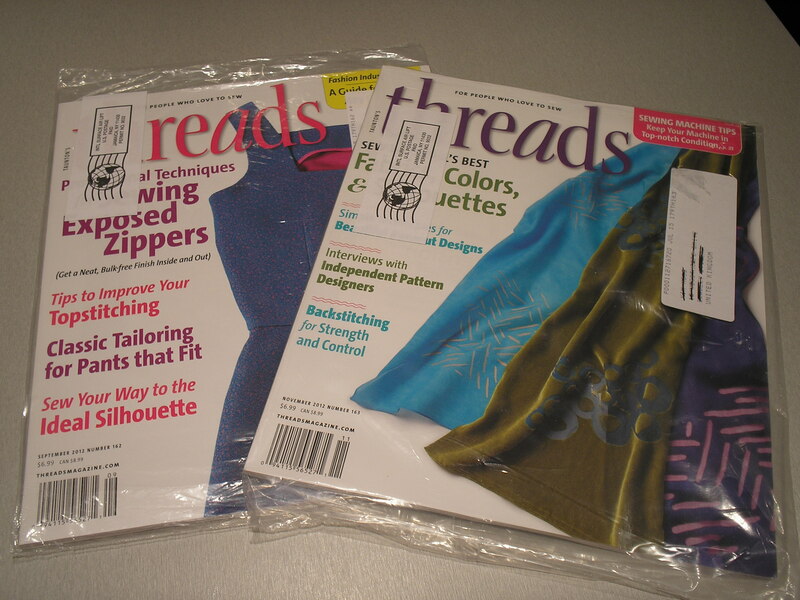 I renewed my Threads magazine subscription a couple of weeks ago and have been sent two duplicate magazines. After a ‘Live Chat’ with a lovely lady called Debra I have been given permission to offer them here to anyone who would like to see issues 162 and 163. Let me know if you are new to Threads and I will send them to you.